Do you ladies ever fancy yourselves owning one or are there another brands that suit your fancy? No I never liked them and they're way too expensive. I don’t wear watches anymore, so no. I like wearing watches and see no reason to extend money to a Rolex industry. In fact my $1 watch tells the exact same time as a rolex. It serves its purpose.Done...and Done. 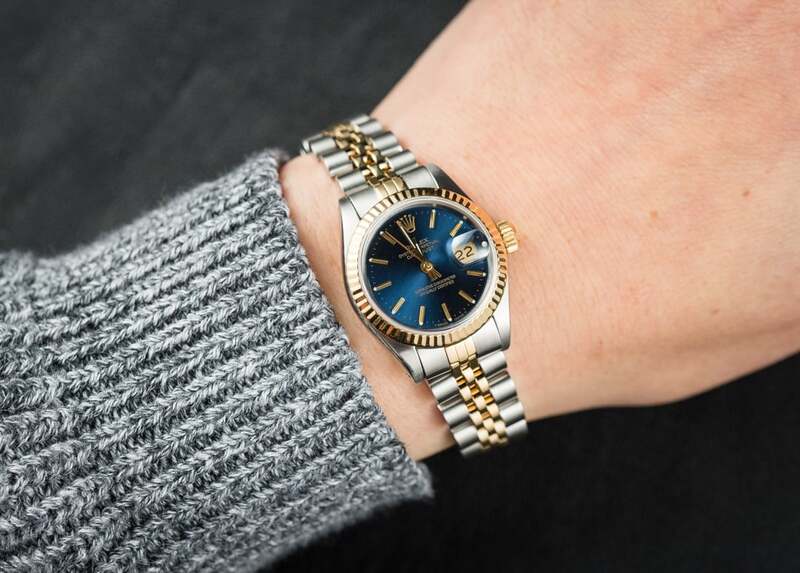 I think most Rolexes are just too fancy/flashy for a casual outfit. But I do like watches and think wearing one is great. I wear one daily but mine has a more casual face and let her strap. I wear a watch every day, it looks nice, cost around $50, if I was wearing a rolex everyday, I'd be afraid to go anywhere. Fear of loss or theft/mugging. I've had two Rolex, sold them both. I always felt like everyone's eyes went straight for my wrist. Did not feel safe wearing them. When I sold them, I did not lose any money as apparently the increase in value. That was about 20 years ago. Rolex's look good, but way too expensive. Glam Rock, Seiko, Invicta, Guess, Fendi, are all brands I've had. There are so many watches that look good, keep time and don't cost thousands. Last edited by Taz22; 11-24-2017 at 06:09 PM..